This IBM authorized online course is designed to help you learn how to analyze and interpret data with basic and advanced statistical techniques. We have found that the programme makes IBM SPSS Statistics for Windows easy to use so that it is not necessary to have a formal, instructional data lab; you should be able to learn how to use IBM SPSS Statistics on your own in this programme. 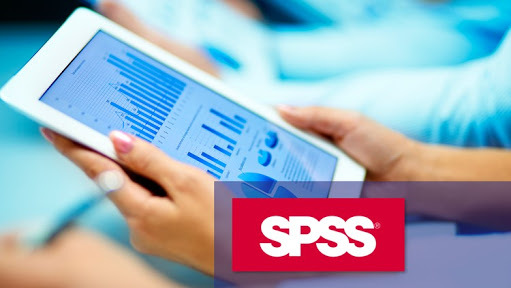 Access to the IBM SPSS Statistics program, internet connectivity and some familiarity with Windows is all that is required. This Program will help you develop skills that cover the whole range of the steps in the research process: design, data collection, data entry, data analysis, interpretation of outputs and writing results. The exercises datasets is similar to one you might have for a thesis, dissertation, survey or research project. Therefore, it serves as a model for your analysis in each module. The program is developed by experienced academics and industry professionals. All exercises include hands-on labs that you can perform in the cloud or by locally installing the required software. Students are assigned to virtual instructor-led classes after enrolment. Professionals in fields such as analytics, marketing, management, business intelligence, data science and operations research. Professionals wanting to improve their analytical skills. Individuals with a technical background interested in marketing or data analysis. Individuals with no technical background interested in exploring careers in data analytics. College graduates interested in furthering their data analysis skills. Gain extensive knowledge of IBM SPSS Statistics delivered by experienced statisticians. Become proficient in advanced statistical techniques from a practical point of view. Boost your career confidence and advancement. Establishes you as a continuous and life-long learner. Will we be using data? Yes, this program teaches you how to use IBM SPSS Statistics. Do I need to have experience with IBM SPSS Statistics? Do I need to access my own company’s data? No. A real-world dataset will be provided for in-class data analysis. There are no papers or exams for the program. Each week, students will be learning how to analyze and interpret a different statistical technique using a real-world dataset.